대불정여래밀인수증료의제보살만행수능엄경(언해) 권2, 3, 4, 6, 7, 8, 9, 10(大佛頂如來密因修證了義諸菩薩萬行首楞嚴經(諺解)卷二, 三, 四, 六, 七, 八, 九, 十)는 당나라의 반자밀제(般刺密帝)가 번역하고 송나라의 계환(戒環)이 풀이한 것을 간경도감(刊經都監)에서 세조 8년(1462)에 우리말로 번역하여 간행한 것이다. 간경도감은 세조 7년(1461)에 불경을 한글로 풀이하여 간행하기 위해 왕실에서 설치한 기구이다. 닥종이에 찍은 목판본으로 처음 찍어낸 듯 인쇄상태가 좋으며, 권2-4, 권6-10을 각각 한권의 책으로 엮었고 크기는 세로 35.5㎝, 가로 21㎝이다. 처음에는 속지를 꿰맨 뒤 겉에다 두꺼운 표지를 감싼 포배장(包背裝)으로 만들었으나 나중에 겉표지까지 같이 꿰맨 선장(線裝)으로 바꾸었다. 표지에 쓰인 제목은『대불정수능엄경』으로 되어 있고, 권 제2, 3의 제목 밑부분 여백에는 교정을 했다는 도장이 찍혀있다. 간경도감에서 펴낸 최초의 능엄경으로, 편찬체재나 글자체 등이 뒤에 간행된 국역본의 규범이 된다는 점에서 그 가치가 크다. 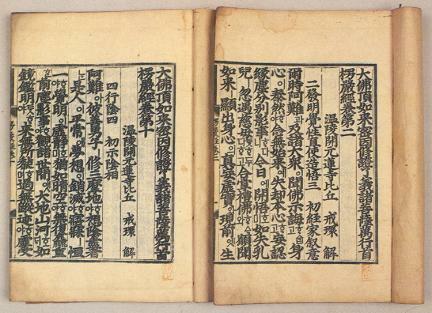 Neungeomgyeong, or Suramagma Sutra, is the basic text that monks learn in the process of discipline. The main idea of the sutra is to understand what Buddha says by practicing it. 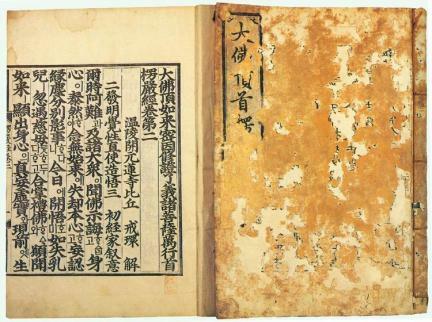 It consists of sutras translated from ones made by renowned Zen monks of the Tang and Sung Dynasties, and published at Gangyeongdogam, the institute where Buddhist scriptures were translated into Korean and published, in the 8th year of the reign of King Sejo (1462) of the Joseon Dynasty. There are two books combining the 2nd to 4th and the 6th to 10th out of 10 books. 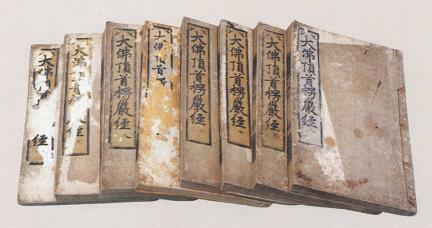 They are woodblock-printed books, measuring 35.5cm in length and 21cm in width. They were clearly printed and they had front covers with the contents woven together. The title on the cover is Daebuljeong suneungeomgyeong. 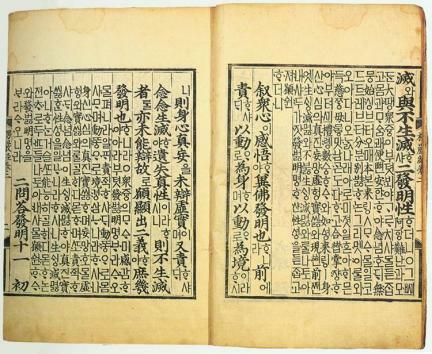 These were the first Suramagma Sutras to be published in Gangyeongdogam. Their calligraphy and editing styles set the standard followed by other printed books written in Korean.